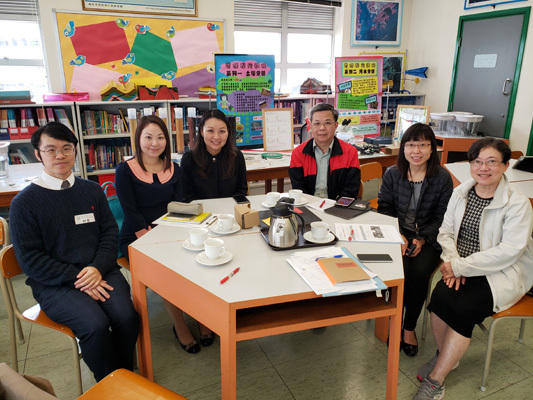 PDS Seminar 6 was held on 18 March 2019 (Monday) from 11:25 a.m. to 12:55 p.m. at QESOSA Tong Kwok Wah Secondary School. 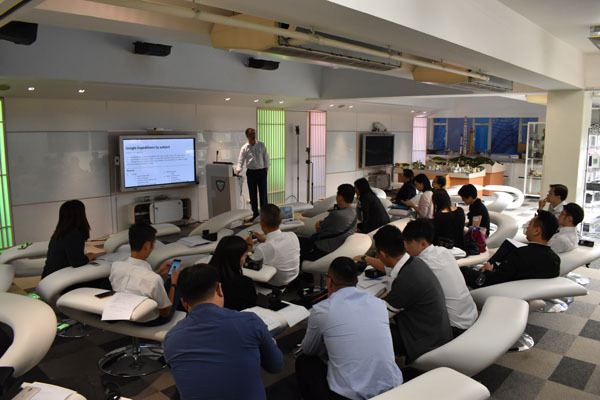 Nine participants took part in the seminar, including two teachers from Ho Yu College and Primary School, two from SWCS Chan Pak Sha School, three from QESOSA Tong Kwok Wah Secondary School, one representative from EDB and one from our school. 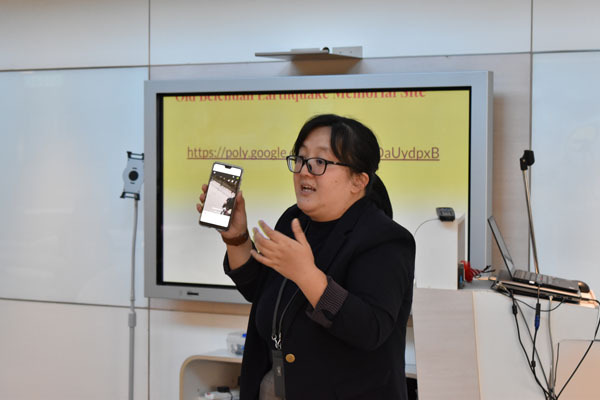 Ms. Akki Wong, the Geography Panel of QESOSA Tong Kwok Wah Secondary School, demonstrated a Geography lesson in VR application while teaching the topic about the farming problem to Form One students. 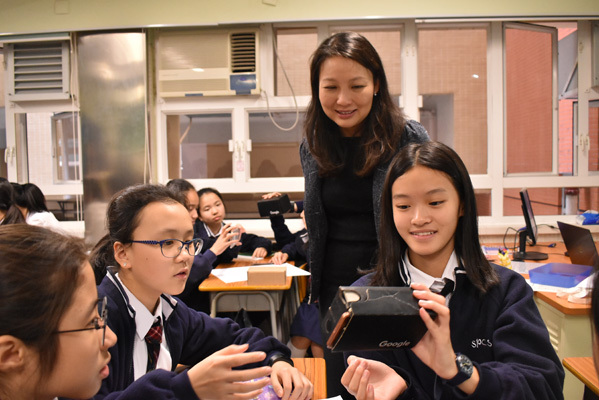 In this lesson, Ms. Wong asked students to use the VR apps: Google Expeditions “RSPCA Assured Chicken Farms” for a VR field visit at a chicken farm. Students were divided into five groups of four members. 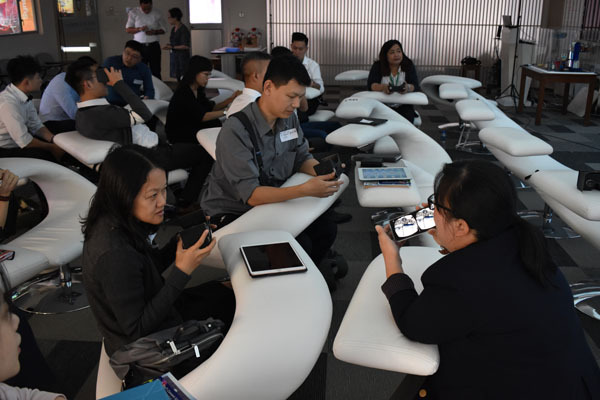 Two iPads and one mobile phone with VR viewer were given to each group. One member in each group would act as a ‘guider’, leading other students to view and explore the designated points in the VR photos with briefings from the apps. In the process, students were excited by the novelty of the immersive experience inside a chicken farm, the place where they had never had a chance to access. With interactive teaching, they were stimulated to give answers in response to the teacher’s questions in the worksheet. They learned to deduce from the evidence of observation of the VR photos. Students’ response was vigorous and immediate and the lesson was smoothly conducted. 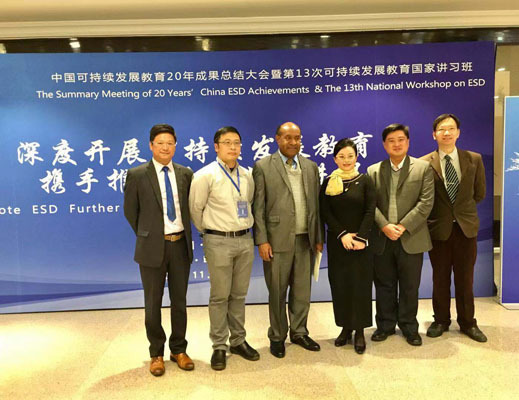 With limited time, two aspects of the topics under the theme, namely activity space and environment enrichment were explored. In the post-lesson sharing session, teachers agreed that the lesson and the worksheet were well planned. 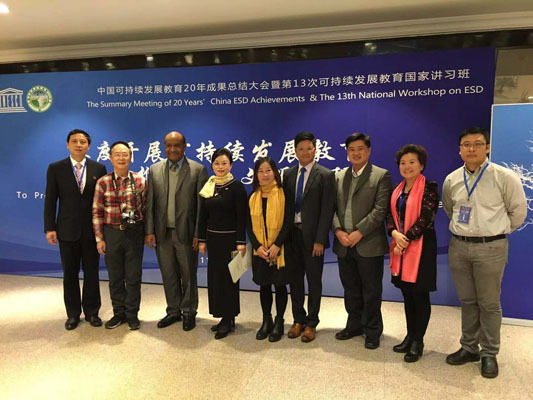 The goal of evidence-based learning had been achieved. 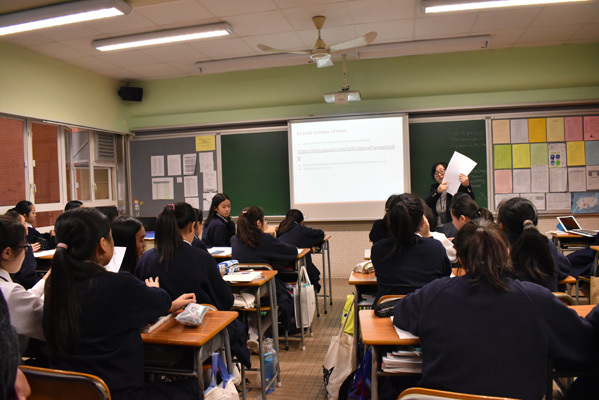 In preparation for the lesson, Ms. Wong used one morning session. She considered it acceptable for colleagues in terms of cost-effectiveness. The concern for the worth of using VR in classroom teaching in comparison with using video was again brought up for discussion. Mr. Chan, the Geography Panel of another PS affirmed that VR could encourage self-discovery and the immersive experience could give a ‘real’ feeling in the environment. However, one of its shortcomings was the feeling of dizziness which created tiredness of the eyes, so viewing could not be too long. 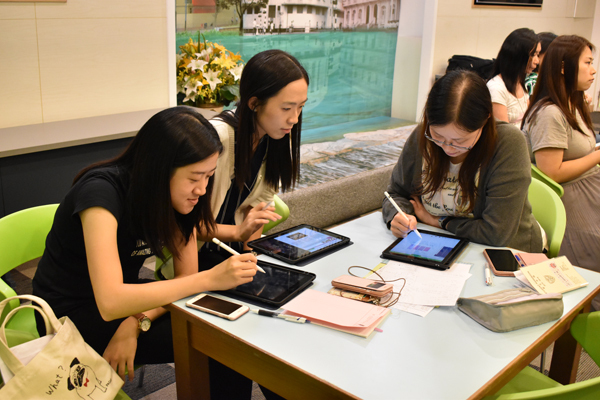 The greatest hindrance as a teaching tool for teachers was its limited number of relevant VR resources in Chinese language. 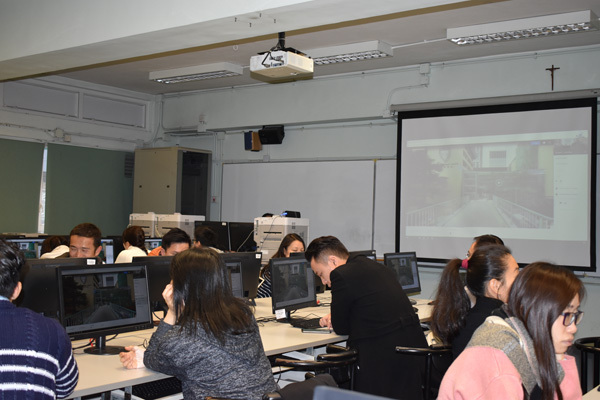 In order to expand the scope and readiness of the VR resource, Mr. Chan suggested that teachers could use a VR converter app to change existing local 2D videos to 3D VR videos. In this way, it was hoped that teachers would spend less time in searching for the appropriate VR teaching resource for the topics of their subjects. In this seminar, the practical value of outreach to the inaccessible via VR was evidenced by bringing field trips alive to the classroom setting. The problem created by the limited number of VR resource suitable for our curriculum could gradually be overcome with more 2D videos converted easily into VR videos. 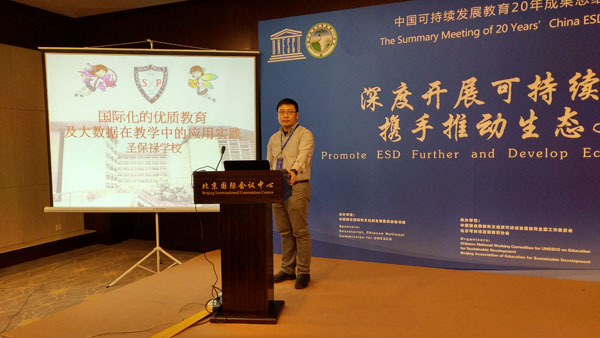 PDS Seminar 5 was held on 20 and 21 February from 9:40 a.m. to 11:40 a.m. at Ho Yu College & Primary School. 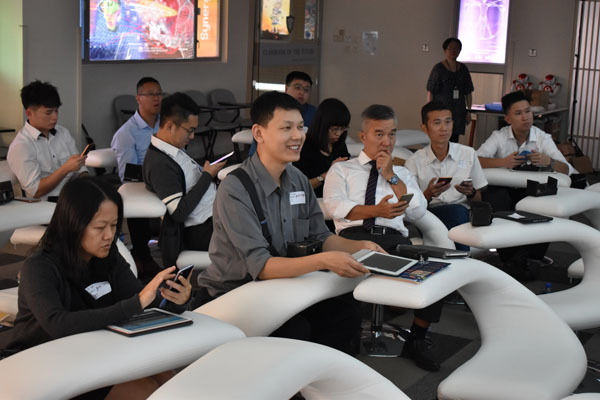 Thirty participants took part in the two-day event, including twenty-six teachers from Ho Yu College and Primary School, two from SWCS Chan Pak Sha School, one representative from EDB and one from our school. 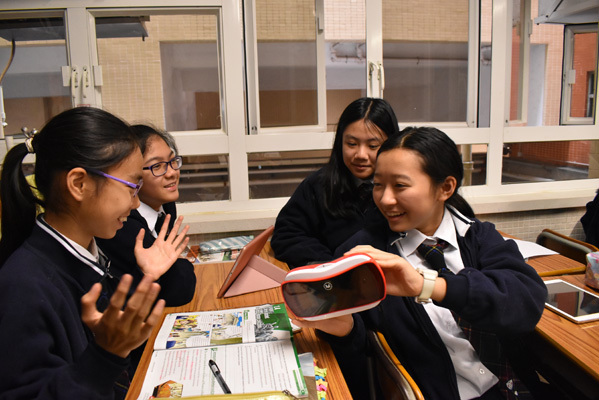 Mr. Kwong Man Shek, the NCS Coordinator of Ho Yu College, demonstrated his lesson in VR application on Chinese Language Creative Writing for Form One students. 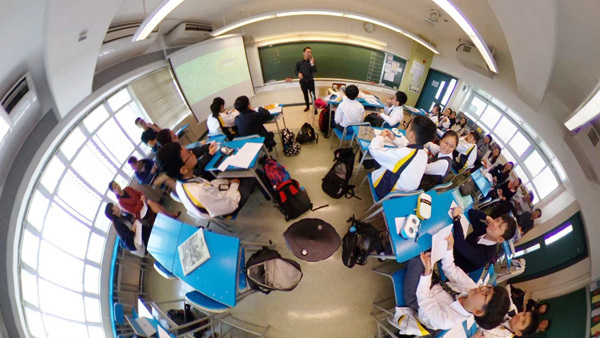 Last year, he used VR to brief students before they took a field trip to Western District and found VR a good tool for enhancing students’ skills in creative writing. 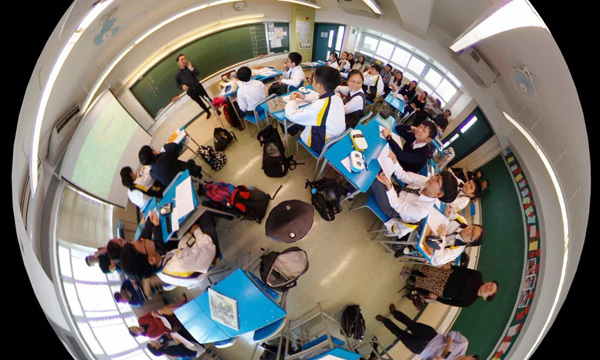 In this lesson, Mr. Kwong used VR to help students explore the ‘inaccessible places’ through immersive experience. He showed the class a sample of previous student writing of the Western District and stated clearly the essentials of descriptive writing which included description along the way, focused description, angles and distance of observation, as well as integrated description via senses of hearing, smelling, touching and tasting. 16 students in pairs were given mobile telephones and VR viewers with worksheets to explore places they had never visited before. The groups had to describe what they had observed from VR and ask the class to guess the name of the place. In the process, students not only enjoyed the interactive game, but also had a chance to speak up and describe in front of the class. Teachers were mostly impressed by their response. Towards the last part of the lesson, Mr. Kwong showed two pieces of writing for comparison: the previous student writing and another by a famous writer. He asked students to give feedback and rounded up by showing how they could improve their writing by referring to the structure and content of the writing. After the lesson, students had to practise writing as an assignment. In the post-lesson sharing session, teachers were amazed that the lesson was well planned with effective learning and teaching. 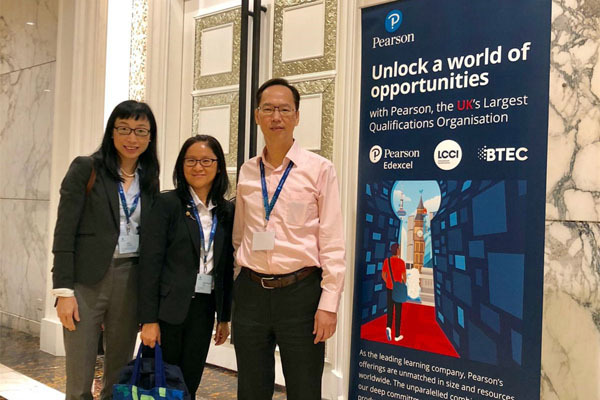 Mr. Kwong revealed that he wanted to test if the power of VR in ‘exploring the inaccessible’ could bring about students’ transfer of learning in enhancing their imagination while improving their skills in hearing, speaking, reading and writing. 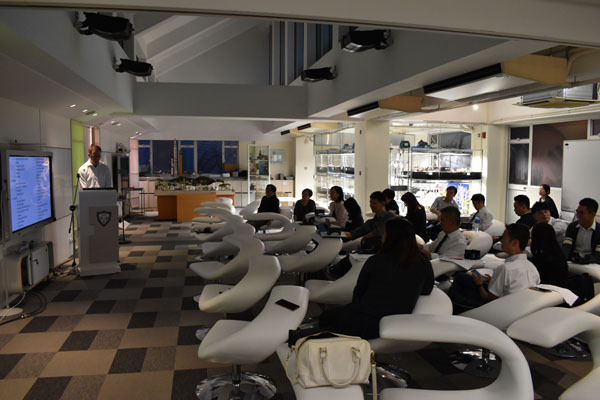 Mr. Cheung, the Physics Panel who helped prepare the VR equipment and selected the VR videos shared his experience of using the free off-line platform provided by EduVenture of CUHK for editing VR videos. Teachers of various subjects participated in the discussion and many of them were planning to start VR application in teaching their own subjects. 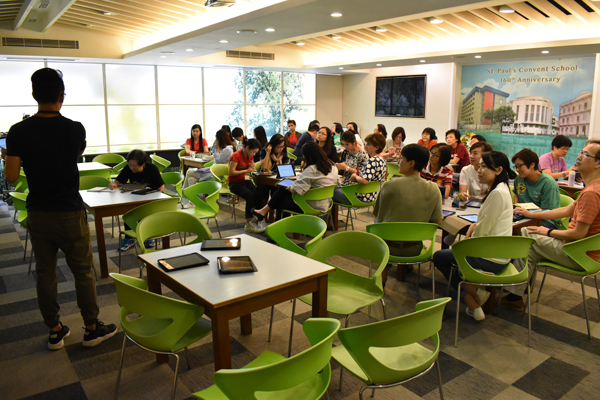 Ho Yu College had successfully built a cross-subject learning community as they exchanged ideas and helped each other in making innovative attempts. They also attempted integrative approach across subjects at the same time. Being stimulated by the two PDS classroom observations, Mr. Tang, the History Panel planned to teach a topic in History this year with VR application by integrating factors in history, geography and economics. 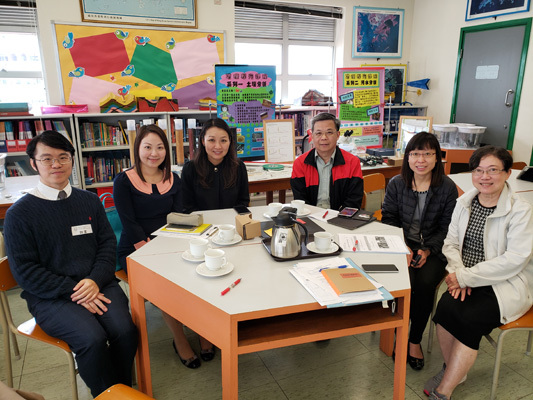 Teachers from SWCS Chan Pak Sha School were assured of the profound effects of VR in teaching and they definitely would integrate VR into their classroom teaching. 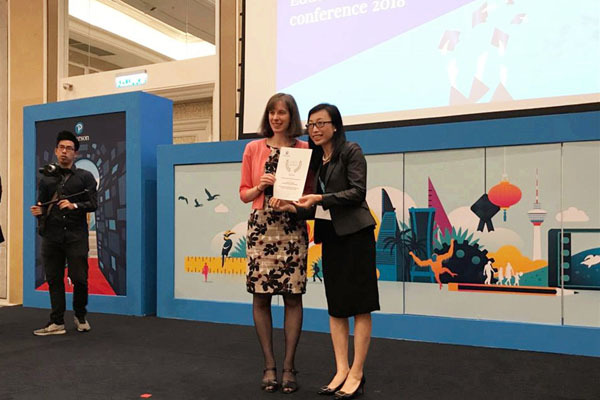 Subsequently, all agreed that immersive experience as a new mode of learning was not just powerful in bringing about all-dimensional virtual exposure and feelings, but it could nurture the interests and joy of learning in students, which would certainly lead to unlimited possibilities in self-learning. The outreach to the inaccessible via VR had a practical value as it may somehow replace field observations in some cases and offer convenience to many. PDS Workshop 4 was held on 10 January (Thursday) from 1:30 p.m. to 3:00 p.m. at St. Paul’s Convent School. 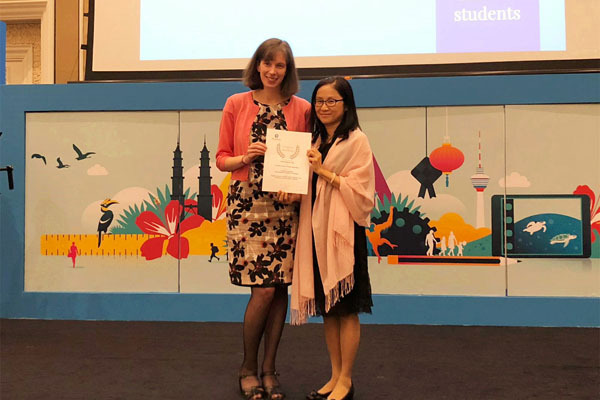 Ten participants took part in the event, including four teachers from Ho Yu College and Primary School, one from SWCS Chan Pak Sha School and St. Stephen’s Girls’ College respectively, one representative from EDB and three from our school. Our History teacher, Ms. Jennifer Au demonstrated a single lesson on ‘Introduction to Greco-Rome Civilization’. She asked students on how we could learn from western civilization. 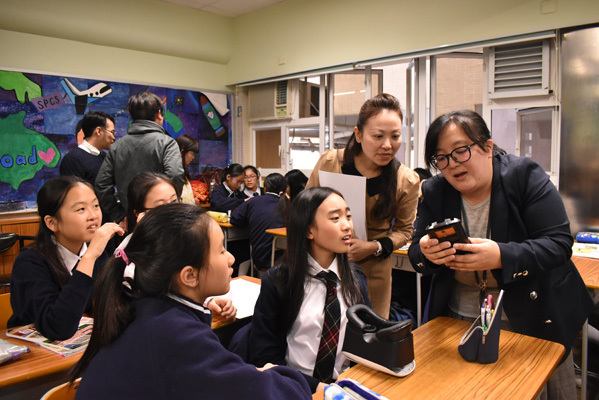 Students in groups of four were given a mobile telephone and VR viewer with a worksheet to explore with buildings like artifacts and historical sites of a temple, aqueducts and coliseum. Students worked in groups searched and experienced the immersive effects of the VR. They were able to follow though the process was sometimes disturbed by technical difficulties. Teachers were motivated and walked around the classroom to observe student response. In the post lesson sharing session, some teachers thought that the demonstration was inspiring despite the short duration. 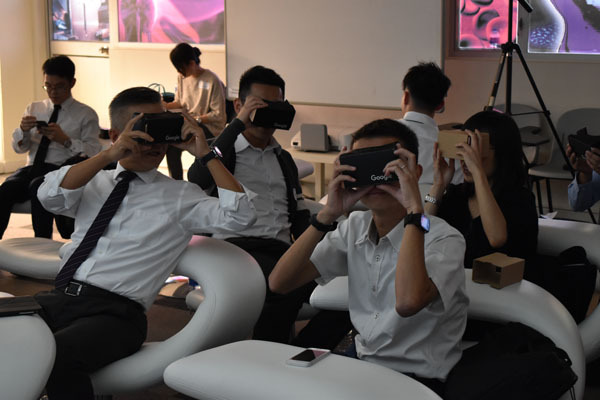 They realized that the VR experience could provide many other possibilities in teaching various subjects and also stimulate them to start new ways of teaching. Most teachers agreed that the planning of the worksheet was the most important part to determine the content and order of thinking. Concerning the cost effectiveness of employing the VR technology in teaching, one teacher raised the question of whether the effect of immersive experience could really enhance learning to such a degree that it was worth the effort paid by the teacher. Another teacher was convinced that students enjoyed the happy learning experience provided by VR. The joy of learning could lead to more self-discovery and interest in further research. 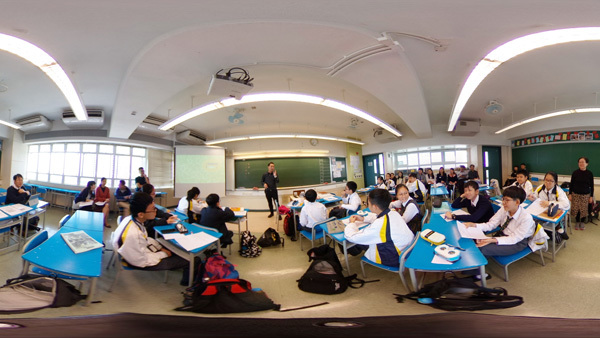 Since the preparation of worksheets with the application of VR technology definitely requires much more time in lesson preparation, one teacher proposed that EDB could play a role in easing the load of the teachers by preparing the new packages in addition to the conventional teaching materials. PDS Workshop 3 was held on 18 December 2018 from 4:30-6:00 p.m. in our school. 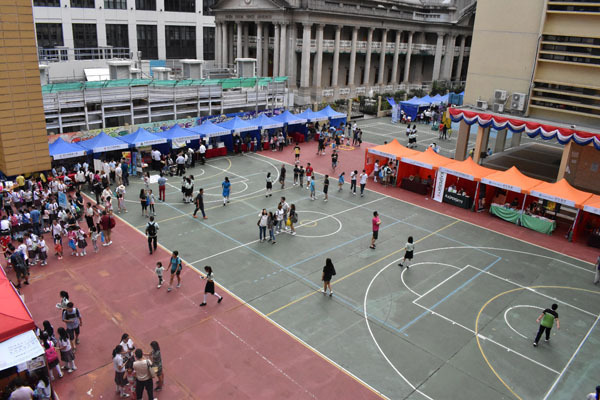 Twenty-one participants took part in the event, including two teachers from Ho Yu College and Primary School, seven from Chan Pak Sha School, four from QESOSA Tong Kwok Wah Secondary School, five from St. Stephen’s Girls’ College and three from our school. 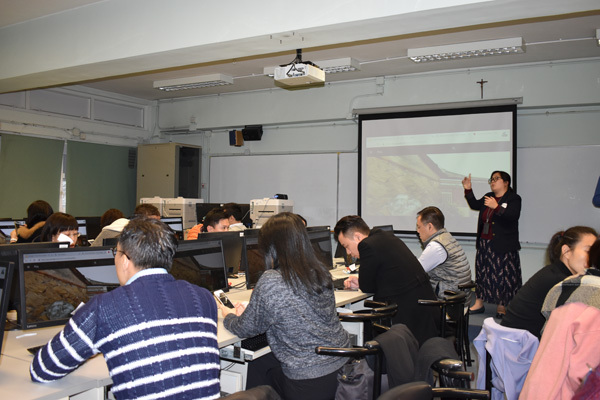 Our teachers, Ms. Jennifer Au and Mr. Peter Blythe introduced to participants on how to use a new tool ‘Google Virtual Tour Creator’ to develop and make teaching materials with the app and 360 photos. The learning process was simple and teachers could readily follow and master its operation. During the workshop, all teachers were able to search and make VR teaching materials for the subjects they taught. Teachers gained confidence and they agreed that they would bring this new skill back to their own school and develop new VR teaching materials to be applied in their lessons. 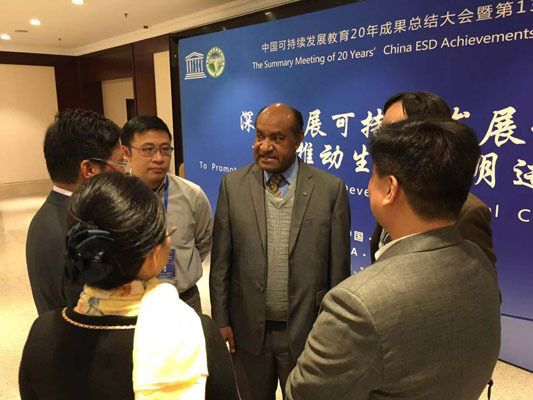 As a professional community, we were helping each other to develop new teaching materials that served to enhance students’ learning effectiveness. PDS Workshop 2 was held on 29 October 2018 from 4:40-6:00 p.m. in our school. 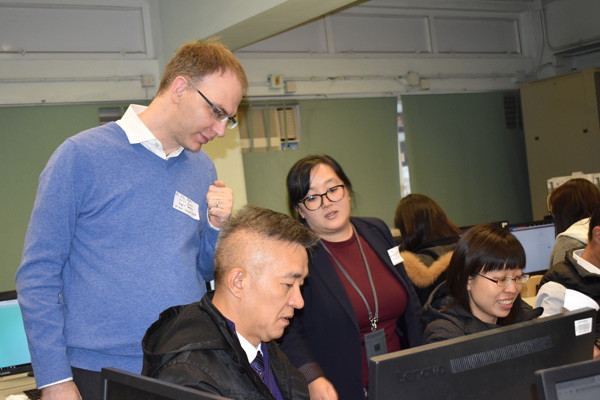 Sixteen participants took part in the event, including three teachers from Ho Yu College and Primary School, nine teachers from QESOSA Tong Kwok Wah Secondary School, four teacher from St. Stephen’s Girls’ College and three from our school. Our teachers, Mr. Peter Blythe and Ms. Jennifer Au shared with the participants on the factors to consider when planning a lesson, how to start a lesson and the various activity patterns for learning in a lesson. Both teacher-led lectures using Google Expeditions or lessons that encouraged independent exploration could be planned to achieve different learning goals. Examples of lesson plans for subjects such as Geography and Physics were shown. Resources and worksheets were shared. Ms. Au used the example of Sichuan Earthquake to demonstrate how to give prompts to students when she used VR photos from a tailor-made tour. Teachers found that the methods were clear to grasp and the tools were user-friendly. They also saw the benefit of using VR for lessons and how the difficulties and worries could have been overcome systematically. They could start by searching resources first and then head for a step further. 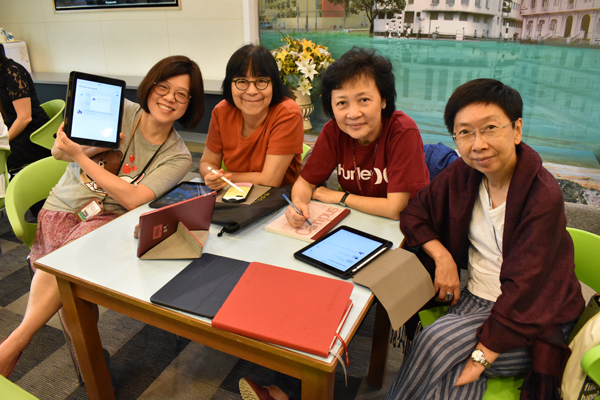 PDS Workshop 1 was held on 23 October (Tuesday) from 4:30 p.m. to 6:00 p.m. and 29 October 2018 (Monday) in St. Paul’s Convent School. 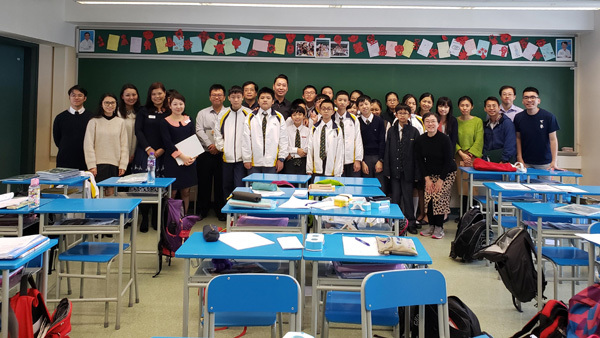 Sixteen participants took part in the event, including three teachers from Ho Yu College and Primary School, nine teachers from QESOSA Tong Kwok Wah Secondary School, four teachers from St. Stephen’s Girls’ College and three from our school. 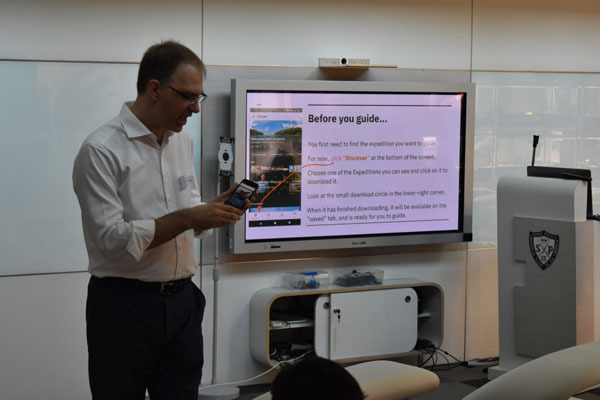 Our teachers, Mr. Peter Blythe and Ms. Jennifer Au shared with the participants on how to get started with Google Expeditions for effective classroom teaching. 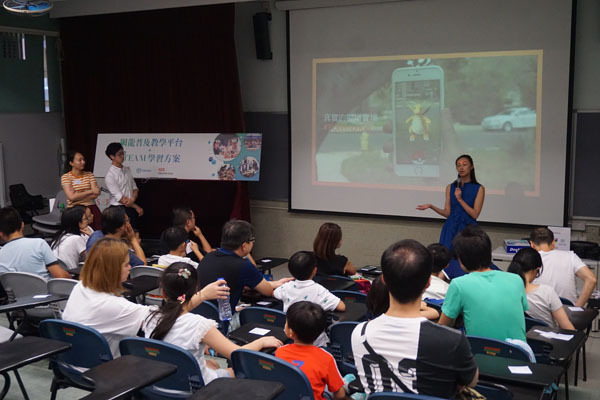 They introduced the use of mobile phones and cardboard VR viewers, and demonstrated how to download the app Google Expeditions, which is a free and easy-to-use mobile app with pre-made virtual tours to transport users to places or events they could not visit by VR. Steps in operation procedures for teachers (as a guide) to lead students in searching for materials were clearly shown to teachers. Teachers were instructed to find content for the subjects they taught, including a list of updated materials available provided so that the teachers could practice more to build up their own resource for teaching. Teachers found that hands-on experience was important as they needed to get familiarized with manipulating the tools. It was exciting for them to know the basics for classroom teaching while they felt more confident to try these user-friendly means. •	How to build firm foundations for progression and how schools can equip students with more than just a qualification. The guest speakers, Mr. Charles Leadbeater, author of the ‘Problem Solvers’ and a leading authority on innovation and creativity, Ms. Karine George, an award winning educationalist and former head-teacher in a large UK junior school, and Professor Ganakumaran Subramaniam, Head of School and Professor at the School of Education, University of Nottingham (Malaysia Campus), all encouraged the audience to explore the challenges in education from a new perspective. 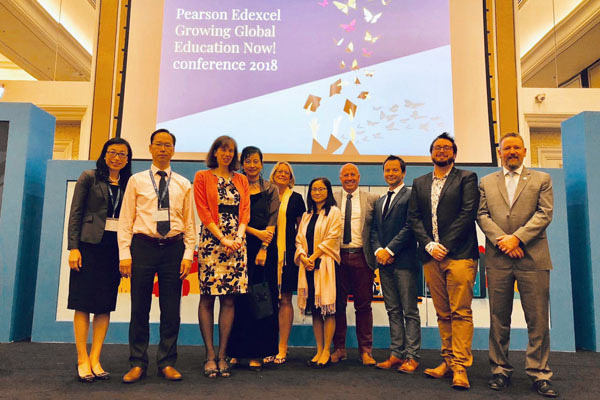 The networking dinner also provided ample opportunities for delegates and Pearson Edexcel administration teams to engage in quality conversation. “DSS STEM Fair” was held on 22 September (Saturday), from 1:30 p.m. to 6:00 p.m., 23 September (Sunday) from 10:00 a.m. to 6:00 p.m. and 24 September (Monday) from 10:00 a.m. to 1:00 p.m. in St. Paul’s Convent School. 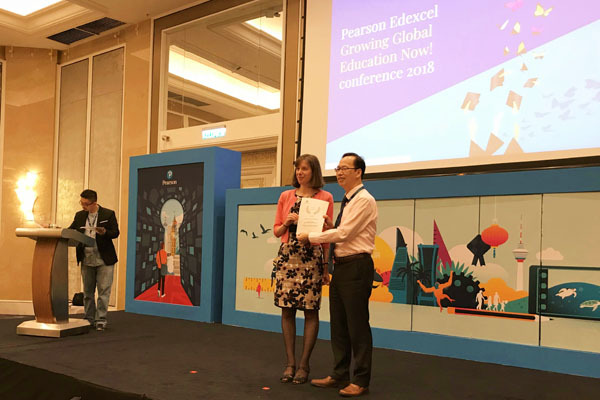 Six participants from three partner schools took part in the event, including two teachers from SWCS Chan Pak Sha School, two from QESOSA Tong Kwok Wah Secondary School and two from Ho Yu College and Primary School. 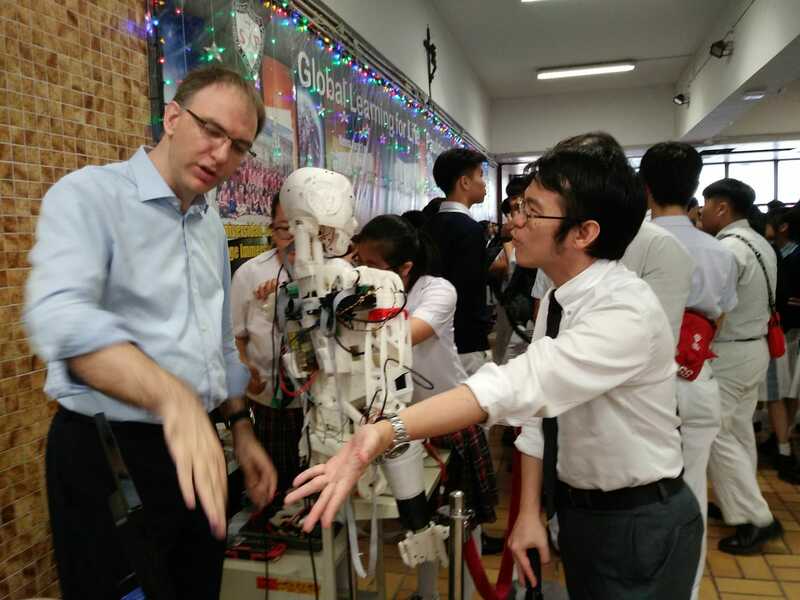 Partner schools learnt how a STEM Fair could attract students to focus on technovation. 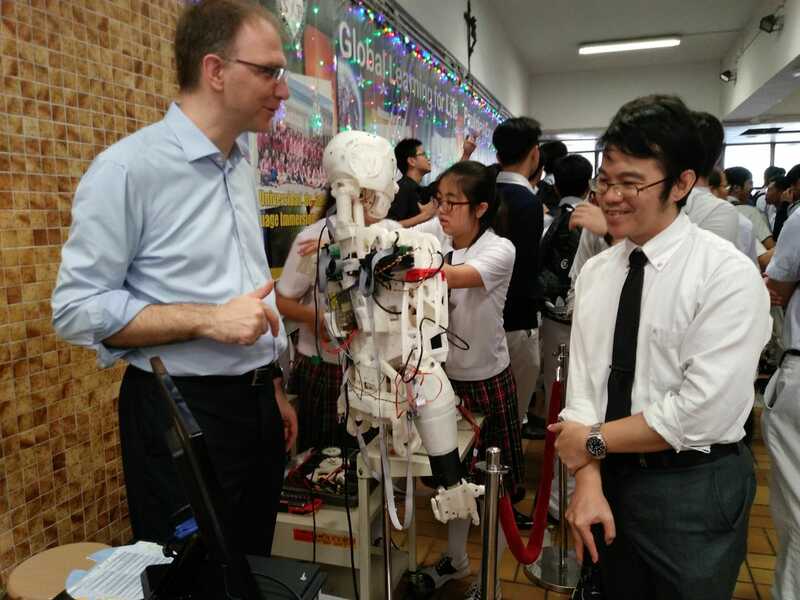 They were impressed by the exhibits and the games students designed. Students’ projects from other schools stimulated teachers to refresh their ideas in the projects that were implemented in their own school. 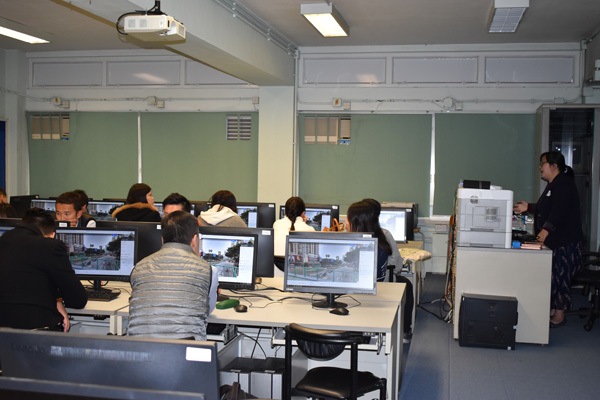 Besides being surprised by the standard of the creative work of the students, teachers were excited to see that our students were able to produce VR activities to help the people with ADHD. Some teachers participated in the lecture on ‘How to Use a Common Platform to Facilitate Teaching & Learning Effectiveness in STEM (VR/AR)’. They were given a free account for online trial run and there were abundant teaching and learning resources for sharing through the web. 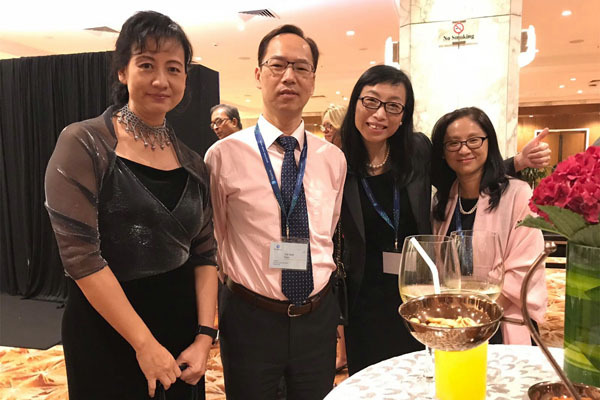 In the discussion, some teachers wanted to draw reference from SPCS in using the mode of Diversified Interest Programmes (DIP) to facilitate a variety of possible learning opportunities for students to motivate self-directed learning. 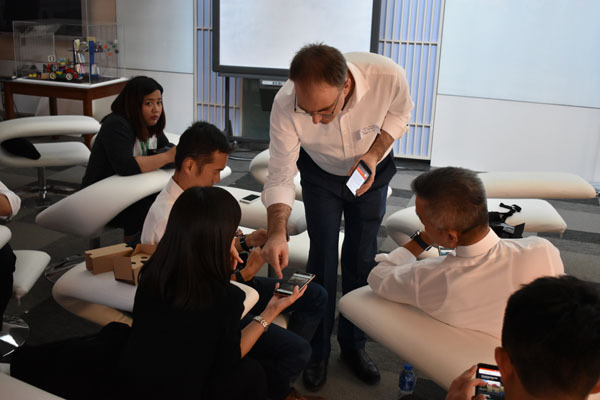 On 29 August 2018, trainer from Apple Education conducted three iPad workshops titled “Everyone can Create”. The workshop sessions were conducted with theme-based approaches and the teachers were divided into subject groups for better mutual inspiration. 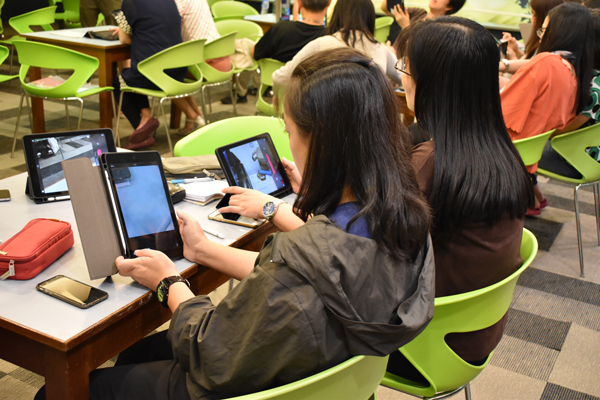 In addition to these creation tools, the workshop also covered a brief demonstration on the use of Apple Classroom, one of the most recent proprietary development by Apple for the iPad. It is a classroom management tool to enable more effective learning and teaching with the use of mobile technology.